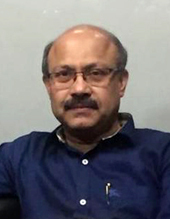 Mr S Mukherjee is a seasoned Media professional, with an experience of over Two decades in media industry. He was instrumental in designing, planning and launching of over 40 Television channels in India and abroad, including some State owned and Top End channels in India. Mr Mukherjee was also the architect behind designing the concept and basic technology for the modern age small & sleek OB vans. Being a technocrat and management professional, he is currently serving the Sadhna Group of companies as Group CEO, and is a thorough professional, handling multiple areas of operations, including SAMS management and designing its curriculum & conducting special classes. 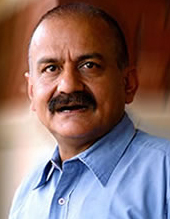 He is a visiting faculty who gives specialised trainings for acting and theatre. He is an Indian film actor who plays villainous roles. 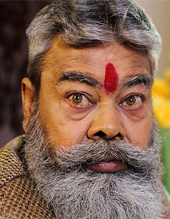 He is well known for his role of Thakur Sajjan Singh in the STAR Plus TV series Mann Kee Awaaz Pratigya. Apart from that he has worked in films like Lajja, Nayak, Dubai Return, Parzania, Hazaaron Khwaishein Aisi, Shakti- The Power, Bandit Queen, in the internationally acclaimed movie Slumdog Millionaire and acted in numerous international films set in India. 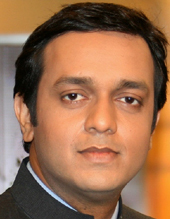 Associate Editor and Anchor at NDTV, seen daily anchoring the news bulletins in Prime-Time evening on NDTV Hindi Channel. He is a veteran journalist in the Media field for years now, handling major news and shows like Money Mantra on NDTV Profit. He gives fantastic Anchoring classes to the students, polishing them with his wide practical experience. Currently, he is also taking up Post Graduate Programme for Senior Management at Indian School of Business, besides working. 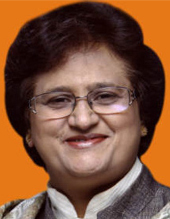 Ex- Delhi Mayor and Senior Politician of India, she is a great orator and usually takes up topics of Political Coverage and Interview based discussions. She is known face of Media today, given speeches at prestigious places including United Nations in US. Ex Sahara Head, is a veteran Journalist and a known Media savvy. He is currently Information Commissioner at Uttarakhand Government. Being in Media for over 27 years, he needs no introduction among the media fraternity. 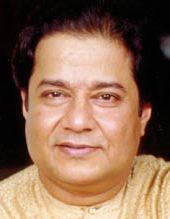 Bhajan Samraat Anup Jalota Ji needs no introduction as he is well renowned and famous Bhajan Singer known throughout the world. Padmashree for 2012 has been conferred upon him in the field of Art-Indian Classical Music- Vocal. Besides singing, he has even started producing Movies in Bollywood.